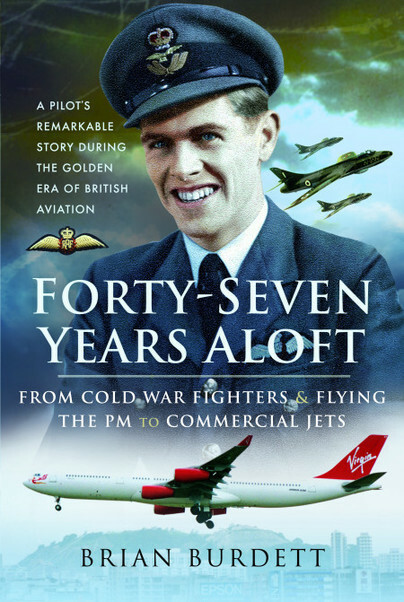 You'll be £20.00 closer to your next £10.00 credit when you purchase Forty-Seven Years Aloft: From Cold War Fighters and Flying the PM to Commercial Jets. What's this? London-born Brian Burdett had only one career objective – to be a pilot. By the time he touched down on his last flight, Brian had flown more than twenty-five different types of aircraft both for the RAF and a variety of famous commercial airlines. It all began for Brian, as it has for so many, with the Air Cadets, flying Tiger Moths. He obtained his civil license, and six months later he was accepted into the RAF. The year was 1954. With the RAF he graduated from Piston Provost trainers, to the de Havilland Vampire and eventually the Hawker Hunter. It was to fly Hunters that Brian was posted to 257 (Burma) Squadron at Wattisham in Suffolk, where the jets were frequently scrambled to intercept Soviet intruders in the dark days of the Cold War. His RAF career developed further with a transfer to Transport Command where Brian could fly the planes he loved the best – the big jets. After training on Handley Page Hastings, Brian was given the chance to fly the famous de Havilland Comet. With 216 Squadron, flying high above the ceiling for commercial aircraft, Brian flew the long-distance routes between the RAF bases around the world, through the Middle East, Pakistan, Shri Lanka and down to South Africa and Australasia. This included taking personnel to Woomera and Christmas Island nuclear testing sites. After a period as a trainer at Cranwell, Brian became the youngest four-jet captain in the world. He then flew VIPs around Europe in the RAF’s VC10s, his passengers included the then Prime Minister, Harold Wilson, among other dignitaries. Brian eventually turned to the commercial world, flying Falcons, VC 10s, Tristars and every type of Boeing 747, for a variety of airlines. His adventures are legion. From a double engine failure on take-off and still managing to land safely, to losing control in cloud and levelling off feet from the ground, to a mid-air near miss with an American aircraft that no-one knew was there, to spotting a strange object that remains unidentified to this day. Brian’s last flight was into Los Angeles in an Airbus 340, in December 2000. He had 22,500 hours in his log book, after forty-seven years aloft. For London-born Brian Burdett his flying career began, as it did for so many, with the Air Cadets, with which he was flying Tiger Moths by the age of just fourteen. Brian joined the RAF in 1954, the start of a flying career which spanned the next forty-seven years. 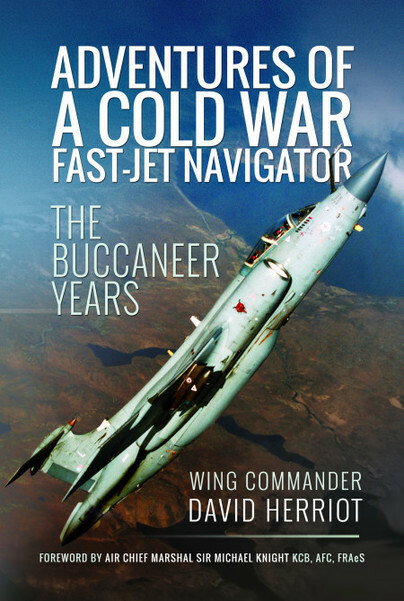 In this period, he flew fast jets such as the Vampire and Hunter, before switching to four-engine transports. After a period as a trainer at the RAF College Cranwell, Brian became the youngest four-jet captain in the world. Brian’s last flight was into Los Angeles in an Airbus 340, in December 2000.